You will find below the horoscope of Lucie Bourdeu with her interactive chart, an excerpt of her astrological portrait and her planetary dominants. If you know the time of birth of Lucie Bourdeu, we would appreciate it if you would send us your information with your source, at stars@astrotheme.com. To thank you for contributing to the enhancement of our astrological database, we shall be glad to send you the astrological portrait (34 pages) of this celebrity. Horoscopes having the same aspect Sun trine Pluto (orb 1°04'): Shakira, Grace Kelly, Bruce Lee, Chris Evans (actor), Tina Turner, Adriana Lima, Colin Farrell, Cate Blanchett, Kesha (singer), Robert Wadlow, François Mitterrand, Steven Seagal... Find all the celebrities having this aspect. Horoscopes having the same aspect Mercury trine Pluto (orb 1°06'): Brad Pitt, Renée Zellweger, Drew Barrymore, Enrique Iglesias, Serge Gainsbourg, Christy Turlington, Mark Wahlberg, Johann Sebastian Bach, Lenny Kravitz, Patrick Bruel, Lara Fabian, Tyler, The Creator... Find all the celebrities having this aspect. Celebrities clicked on in real-time: 577,232,815 times. Here are some character traits from Lucie Bourdeu's birth chart. This description is far from being comprehensive but it can shed light on his/her personality, which is still interesting for professional astrologers or astrology lovers. 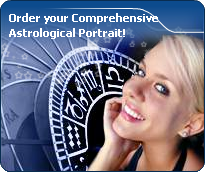 In a matter of minutes, you can get at your email address your astrological portrait (approximately 32 pages), a much more comprehensive report than this portrait of Lucie Bourdeu. Warning: when the birth time is unknown, which is the case for Lucie Bourdeu, a few paragraphs become irrelevant; distributions in hemispheres and quadrants are meaningless, so are dominant houses and houses' accentuations. Therefore, some chapters are removed from this part. Cheers for communication and mobility, Lucie Bourdeu! The predominance of Air signs in your chart favours and amplifies your taste for relations and for all kinds of short trips, whether real (travels) or symbolic (new ideas, mind speculations). You gain in flexibility and adaptability what you lose in self-assertion or in pragmatism. The predominance of Water signs indicates high sensitivity and elevation through feelings, Lucie Bourdeu. Your heart and your emotions are your driving forces, and you can't do anything on Earth if you don't feel a strong affective charge (as a matter of fact, the word "feeling" is essential in your psychology). You need to love in order to understand, and to feel in order to take action, to the detriment of a certain vulnerability against which you should learn to fight. Lucie Bourdeu, the Cardinal mode is dominant here and indicates a predisposition to action, and more exactly, to impulsion and to undertake: you are very keen to implement the plans you have in mind, to get things going and to create them. This is the most important aspect that inspires enthusiasm and adrenalin in you, without which you can grow weary rapidly. You are individualistic (maybe too much?) and assertive. You let others strengthen and improve the constructions which you built with fervour. The three most important planets in your chart are Pluto, Mercury and Neptune. After this paragraph about dominant planets, of Lucie Bourdeu, here are the character traits that you must read more carefully than the previous texts since they are very specific: the texts about dominant planets only give background information about the personality and remain quite general: they emphasize or, on the contrary, mitigate different particularities or facets of a personality. A human being is a complex whole and only bodies of texts can attempt to successfully figure out all the finer points. Your intelligence is sensitive and delicate, with good comprehension abilities, Lucie Bourdeu, which endows you with a strong intuition and receptivity. To you, impressions and feelings prevail over facts and your excellent selective memory is not cluttered with useless elements. Although you are not aware, your fertile imagination may lead you to change your daily reality so that it matches your dreams better. If you are creative, you may make use of your imagination in literary pursuits where you can freely invent beautiful stories taking place in the past. Your passion for History is such that you may immerse yourself into it with too much nostalgia and therefore, you may miss opportunities the present offers to design projects and to think of the future. What is it, that really appeals to you, Lucie Bourdeu, to love or to please? You have so much charm and so much volubility that you easily manage to be what is known as a femme fatale. Feelings and intellect are so tightly mingled that you may not know any more whether you are really in love or whether you are acting. You have a taste for flirt and variety, and you appreciate very much complicated situations where no one knows where the truth lies any more. You shift from one game to another. To you, everything can be an agent for seduction, be it your attitudes, your words or the way you dress. You do not separate your actions from your desire to please. People who do not understand this are in trouble because, if they take your sweet and well-phrased speeches too literally, they are likely to undergo cruel disappointments: for you, it is only a matter of living in the moment and you never commit yourself because, above all, you loathe confinement, even just its thought. Lucie Bourdeu, you skilfully make use of your energy and you are like the arrow that reaches its target with great precision: with piercing eye and sharp mind, you take action meticulously and efficiently. Like the surgeon with his scalpel, you know exactly what you want and you belong to the category of specialists, not the generalists. Critical, pernickety, extremely organized, you want to foresee and to analyze. You prefer to master your business too well rather than not enough, even if you must put a huge, sustained, long lasting effort into it. Sexually, you remain fanatical about cleanliness. You may be prone to fantasies such as fetishism. Your love life is fine if you avoid the unforeseen events that you loathe. This text is only an excerpt from of Lucie Bourdeu's portrait. We hope that it will arouse your curiosity, and that it will prompt you to deepen your knowledge of astrology, as well as to visit and use the wide range of free applications at www.astrotheme.com. Your Life Path is influenced par the number 9, Lucie, the path of travel and transcendence. You know how to take a new look at yourself and how to broaden your horizon. You are driven by the thirst for achievements and you cultivate the sense of the sacred and of sacrifice. Life teaches you to constantly push further the limits of your ego. Your destiny is based on altruism and devotion. You are very generous and you always listen to people's needs, which is among the reasons why you are very much sought after. You also show little interest in socializing or social futilities. Your spiritual growth means much more than worldly frivolities, even though it means that you have a hard time remaining grounded when you experience difficult circumstances! Your Life Path prompts you to learn, to increase the number of enriching experiences, and to constantly progress. You are interested in intellectual matters, and you set yourself high objectives. Meditation and contemplation are your valuable assets.